Ideal for non-ambulatory Incontinence patients with moderate to severe urinary incontinence. 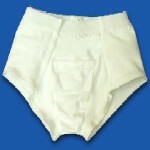 Easy to put on Afex™ Open-Sided Briefs are designed to give caregivers quick access. The briefs open on both sides with Velcro. Unique, one-of-a kind boxer short designed for discreet incontinence protection! 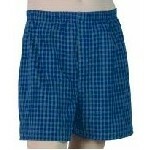 From light to heavy incontinence, this boxer short provides the protection you need with the dignity you deserve. Dignity Men's Boxers look and feel like regular boxers!